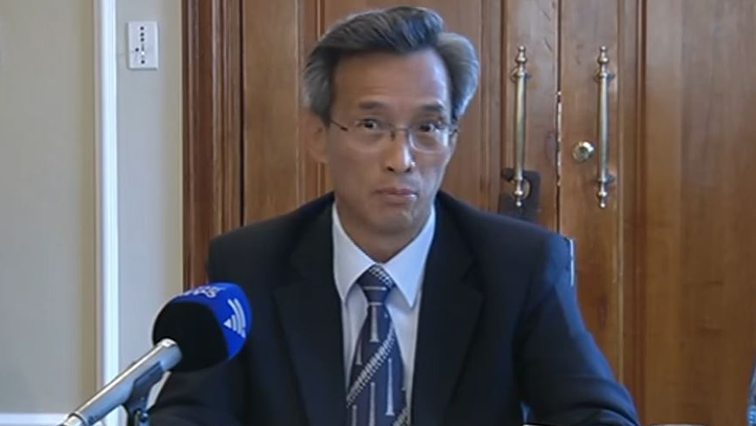 Chinese Ambassador to SA lashes out at Tillerson for comments on China - SABC News - Breaking news, special reports, world, business, sport coverage of all South African current events. Africa's news leader. Ling said China was proud of its influence in Africa. Chinese Ambassador to South Africa Lin Songtian has lashed out at the United States Secretary-General for his recent comments on China’s relationship with Africa. Speaking in Johannesburg, Ambassador Ling said China was proud of its influence in Africa and remains the continent’s largest trading partner for the past nine years. Songtian says China is the victim of a smearing campaign by the United States. The ambassador was responding to remarks made last week by US Secretary of State Rex Tillerson when he criticised China’s economic engagement in Africa, ahead of his first official visit to the continent. Tillerson said China encouraged dependency, utilised corrupt deals and endangered its natural resources. Claims Ambassador Lin emphatically denied. “I can speak loudly and responsibly that all development assistance from the Chinese government to Africa goes directly to project contractors,” he says. Lin highlighted China’s relationship with South Africa over the past 20 years. Last year, bilateral trade grew by 11.7% to $39.17billion, a more than 20-fold increase from the figure at the beginning of diplomatic relations. China has for nine years in a row been South Africa’s largest trading partner, accounting for a quarter to a third of China-Africa overall trade. More than 180 major Chinese enterprises and thousands of Chinese small and medium enterprises have established business in South Africa, creating thousands of jobs for South Africans. This entry was posted on 13 Mar 2018,08:13PM at 8:13 PM and is filed under World, News, Homepage Latest Stories Slider. You can follow any responses to this entry through the RSS 2.0 feed. Both comments and pings are currently closed.